Lately, I've been reading all these minimalist fashion blogs, and they're really inspiring. While I'm not going to get rid of 90% of my clothing tomorrow, I am planning an experiment with a more limited wardrobe. I definitely recognize that I have more clothes than any person could possibly need. 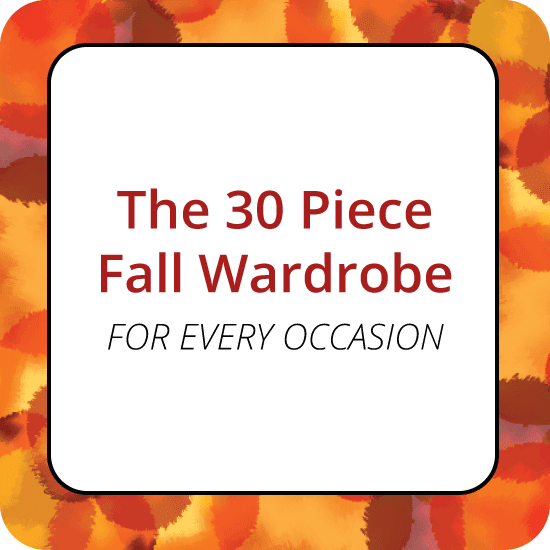 So as a precursor to this experiment, I decided to pick 30 Fall wardrobe staples, and mix and match them to my hearts content; consider this my 'background research'. The results were pleasantly surprising, and I'm rather eager to put away most of my clothes and give it a go. (I will however dearly miss my shoe selection.) Once the weather cools off a little more, I'm committed to a 30 piece wardrobe for a month. There are a few tricks to stretching a limited wardrobe. For instance, layering is key. It creates interest, texture, and exponentially increases the number of possible combinations. In order to make layering possible, ensure your capsule wardrobe is in a palette of complementary colors, consisting of a considerable amount of neutrals, or 'nearly neutrals' as I like to call them. Olive, dark red, burnt orange, leopard, and metallics are all colors that play well with other colors, despite not being traditionally categorized as neutrals, hence the name 'nearly neutral'. 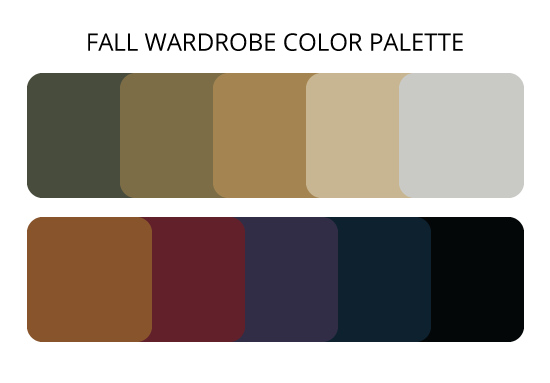 Below is the color palette that I utilized in this capsule wardrobe. 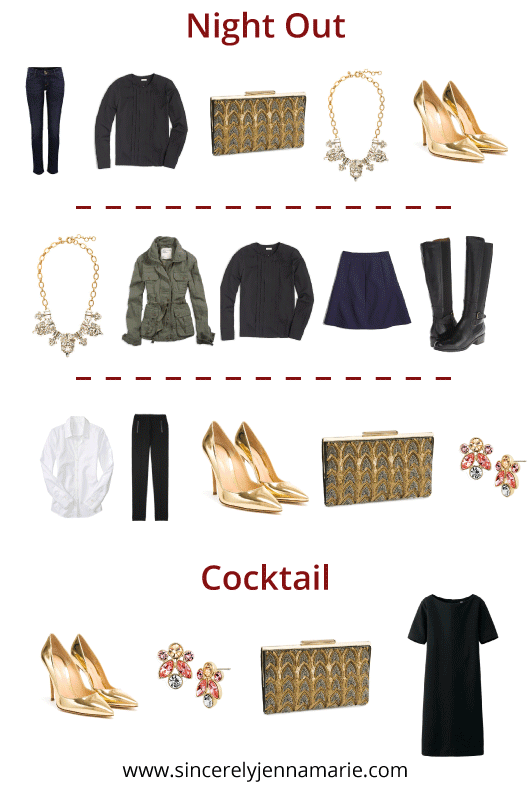 Additionally, in order to maximize a limited number of items, stick to one metallic, either gold or silver. Since you'll be wearing each item a lot of times, only buy/include items you love, fit properly, and suit your lifestyle. Below are a few of the outfits I came up with using the 30 pieces. And, all those outfits are just the tip of the iceberg! There were so many more combinations, especially for casual and business casual. This 'exercise' has definitely served to make me recognize how much can be done with a few well-selected wardrobe staples, and I'm excited for the weather to cool off a little more so I can dive in to my experiment. Looking for link-ups to join? 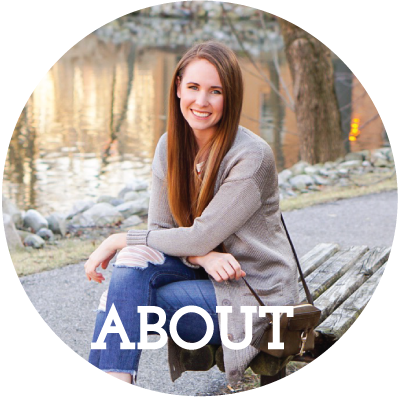 Check out my "giant list of fashion blog link-ups"! I love that sweatshirt! I tried picking mostly items I already have in my closet, but that one was a wishlist item. SO cute. I plan to post all my outfits, it just may not be until October since the weather is still crazy inconsistent and I don't think I can dress for 90 degrees one day and 60 the next in 30 pieces... Thanks so much for reading! Oh, I love this so much! I would never think of layering a camo top under a sweater either. Great colors, looks and ideas! Love the minimalist style! I've always wanted to do a 30 pieces/30 days challenge. Love the outfits you put together! Can't wait to hear how it goes for you! 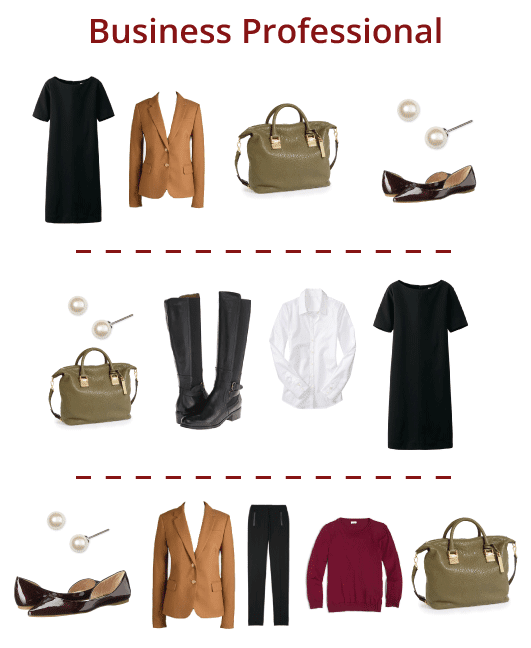 Great collection for the perfect mix & match wardrobe! I could limit myself to a lot less than 30 articles of clothing, but I'm not sure I could be that limited with jewelry. I have several favorite necklaces and bracelets that I enjoy rotating through which would put my total number of articles well over 30! Clothing is easy, though. I lived out of two giant suitcases my first three years out of college, years spent either in France or with a French family. The French are experts at wearing the same gorgeous, expensive outfits over and over. Mine might not be that expensive or gorgeous, but I've slowly built up a small wardrobe of nice basics and gotten rid of the crap. 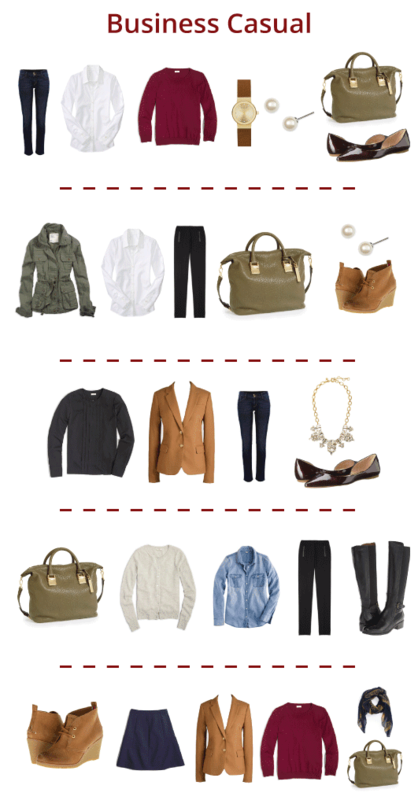 I absolutely love this idea of putting together a ton of outfits with just some basic pieces. I honestly feel like I would wear all the combinations you made. I need to get myself a pair of those tan ankle booties for this fall season. Can I just ask how long it took you to make the graphics for this post!? Holy crap! LOL. And I am intrigued by those who can live with a capsule wardrobe, but I don't think I could do it. I'm curious to follow your experiment.